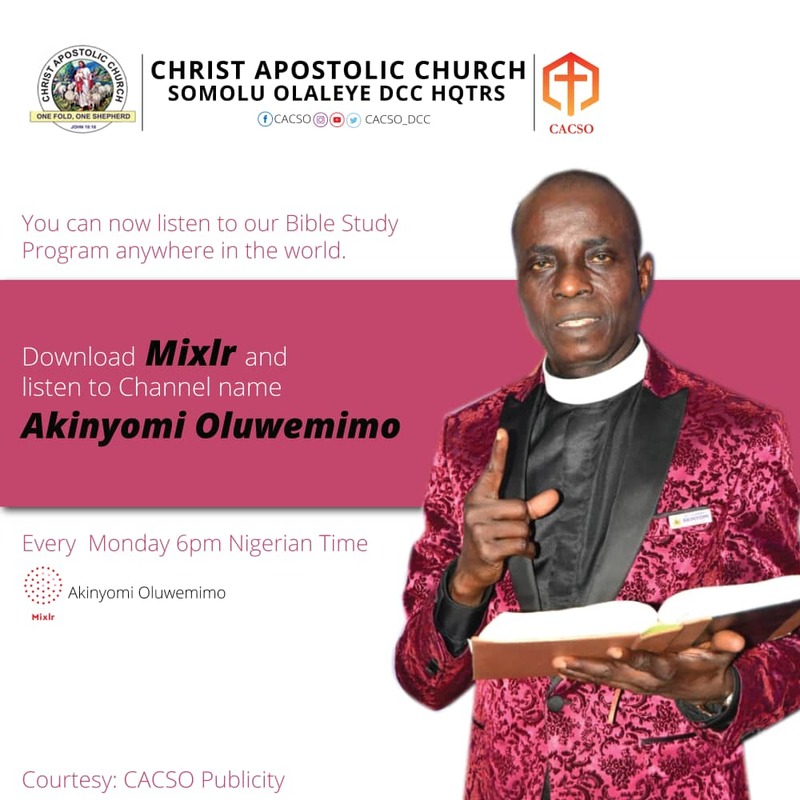 The Publicity Unit of Christ Apostolic Church Somolu Olaleye Districts Coordinating Council Headquarters has concluded on an initiative for a live audio streaming of the weekly Bible Study Program. This initiative came to being following request of members and followers all around the world that wish to follow the sound teachings proceeding from alter every Monday. The Publicity Secretary; Evang. Adebayo Folorunsho, made it known that the process to listening and following the program is self instructive- "We have concluded for an application that is self instructive and easy to relate with. 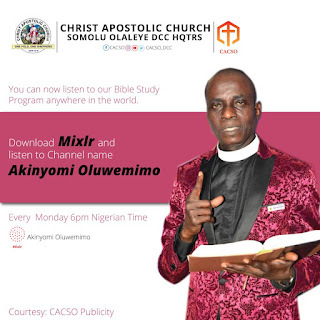 The MixLr application enables everyone around the globe regardless of geographical location to have access to the teachings on Monday evening". He said. Evang Adebayo also made it known that the department is working on expanding this to other programs on-going in the church, "This is a beginning phase, trust me we willl expand it very soon", he emphasized.